This six-week program is designed to provide an avenue of support for people new to our community and/or to the practice of living by the Five Precepts, while introducing them to our lineage. Those interested in rejuvenating your current Upasika training are also welcome to join. Beginning with the first Precept we will add a Precept every week building up to week five when we’ll practice with all five for the ensuing week. 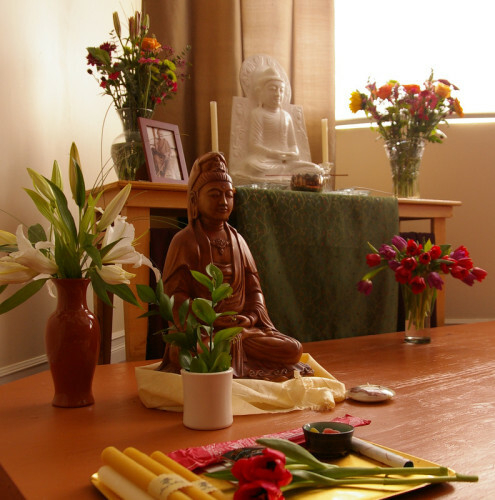 On the final week of this course, participants will have the option to undertake a traditional ceremony of Requesting the Five Precepts and living as an Upasika. In support of gaining (at least) a semblance of benefit from taking on the Upasika training, those requesting the Precepts will be encouraged and supported to live by all five for a period of three months during which time an option for spiritual guidance will be made available via monthly interviews and/or workshops. As well, as part of the Upasika Sangha you will be invited to join a monthly daylong and join in periodic group trips* to local and/or distant affiliated monasteries and hermitages where you will have the option to: request the Five Precepts from the monastics, participate in a meal offerings and/or join in a community work, study and festival days. *Naturally one does not have to be an Upasika to visit the monasteries, this is merely a form of community support for those who are making similar and oftentimes quite challenging commitments to our Buddhist training.